Review: Are you a fan of Arrested Development or satire? If so, you might love this book. This is about a group of wealthy Seattler's (not sure if that is an actual term) and their myriad of problems, including work, family and the drama of private school parental politics. While I found most of their issues eye roll worthy, this was cleverly written in a non-traditional format and I couldn't put it down. 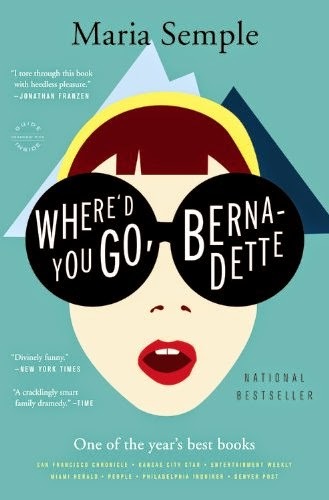 While the central character, Bernadette, was equally lovable and frustrating, I adored her relationship with her daughter. I also found myself loving a secondary character by the end of the book who I initially hated.